Max M wanted to beat the mortgage trap so decided to buy an 18 foot felted yurt. Max did a lot of research and wanted not only a well made yurt but a reliable yurt maker who could offer the after sales service he wanted. He pitched it in his girlfriend's garden and there they lived, rent free and with no mortgage. Max build and external kitchen and fitted a wood burner to make it snug. "It's the best thing I have ever bought. I love my yurt! 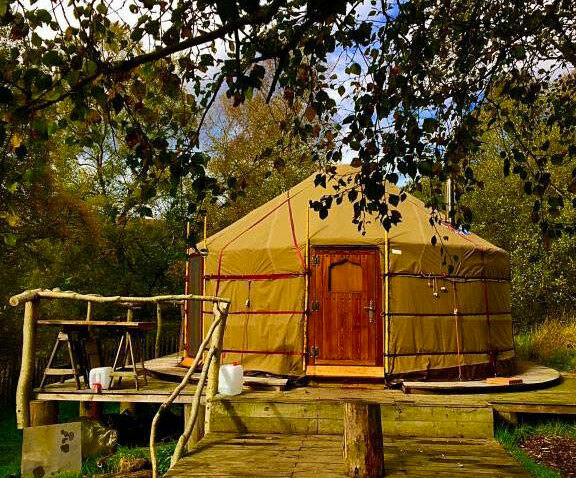 My name is Max Machin and I’ve lived in one of Rob & Ratna’s wonderfully crafted yurts for 18 months now. It’s hard to put in words the lovely feeling of it, you walk into a beautifully embracing space where the balance between cosiness and nature are perfect. The love put into the woodwork and the covers catches the eye from the first glimpse. But not only is the product fantastic but the after sales service is second to none. 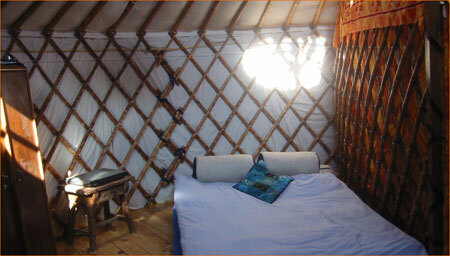 I would not hesitate to recommend the Yurt Workshop to anyone looking for a high quality and beautiful authentic yurt. Not only that but you can buy with confidence knowing their after sales service is also fantastic.